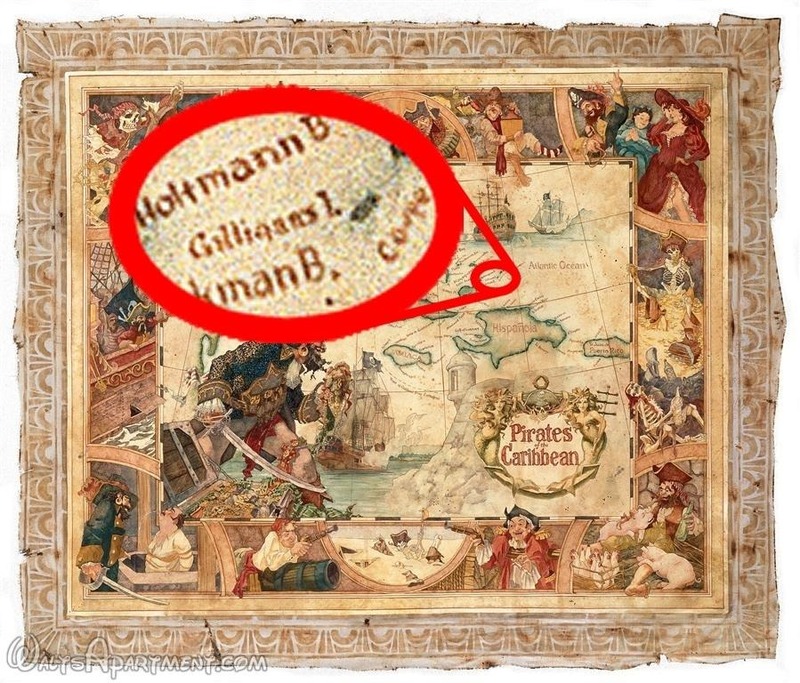 Many visitors to Club 33, Royal Street have heard that the beautiful map for Pirates of the Caribbean by John Horny has a tiny reference to the popular 1960’s TV show Gilligan’s Island. 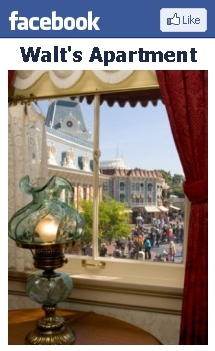 People can often be seen standing in front of the picture that hangs just over a dessert table, staring, searching, trying to find it – just so that they can confirm one more Disney rumor or story. The map seems to be clearly indicating which island is Gilligan’s. However, it is actually one of the Turks and Caicos Islands. Below you can see a blow up of the artwork showing “Gilligan’s I.”. Here is a Google map view to find it on the real map.